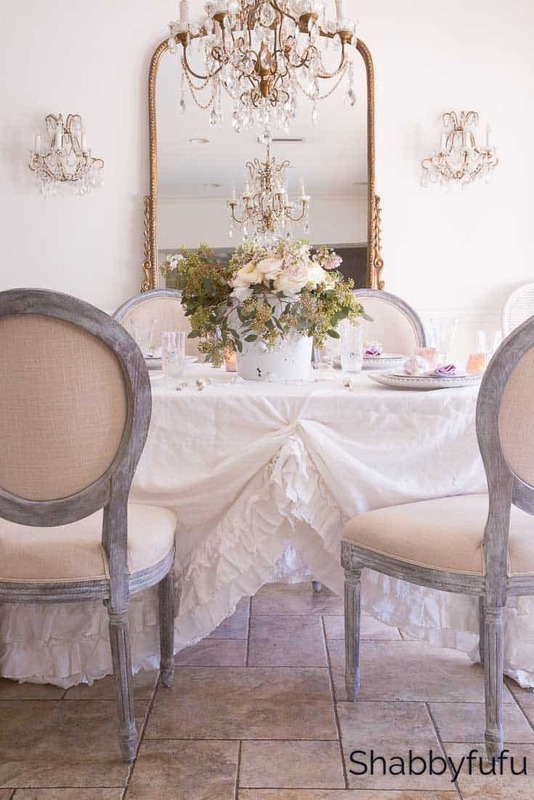 In this post I’m sharing coastal decorating favorites and some of the pieces that I love. One of the questions that I’m asked the most is “how do you describe your style”? That’s a hard one for me to answer honestly but I will say that it’s ever changing and always in flux. 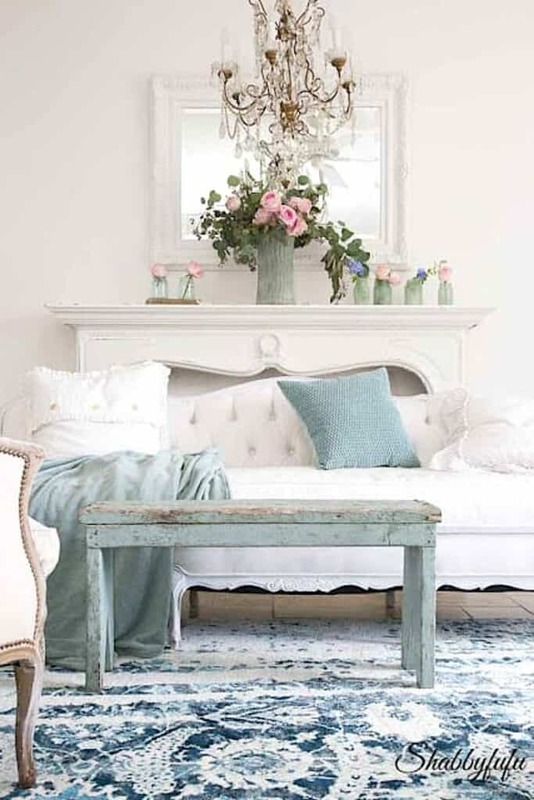 It’s eclectic with a mix of French country, coastal beach-y and shabby chic-y in a palette of lots of white accented by soft blues and pale pinks. That’s a mouthful…all rolled into one! White washed painted woods, bleached wood, burnished champagne gold, polished chrome, marble, crystal chandeliers, coastal decorating favorites, antiques, wicker…these are what catches my eye. My style allows me to be me and your style should allow you to be you. No rules and no holds barred should keep you from decorating with the things that you love. I shop for my home pretty much everywhere from the thriftiest of thrift stores to high end boutiques. One common thread is that I never spend more than my budget allows and I ALWAYS look for a sale! Here we tend to hold on to home decor items for a long time, and to counteract design boredom I move pieces around. You know…shop your own home is something that I’ve advocated for a long time and I practice what I preach. Repurpose, repaint, reuse and mix things up! The counter stools (above) in my kitchen have been around since we purchased our home in the early 90’s. I painted them and recovered them several times and truth be told they were high end when I purchased them. They have served us well and I believe in well made seating that is crafted to last. 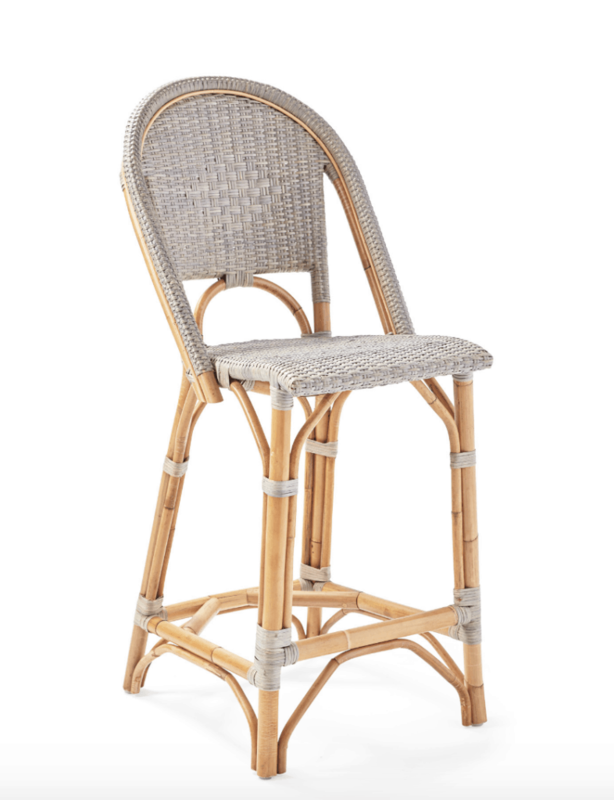 I finally ordered the counter stools below and they should be here soon and I can’t wait to share with you when here! To me they are the perfect mix of beachy and French style, all rolled into one. Can’t you just picture them at the island? They are coastal decorating favorites from Serena and Lily and I have a few other pieces from them, but just small things. I love the Serena & Lily website and wanted to let you know about a GREAT SALE that they are having right now and here’s the scoop. You can receive 20% off your order (a few exclusions apply, so check on site) with the code INSPO. The sale extends from today March 19th through March 25th. 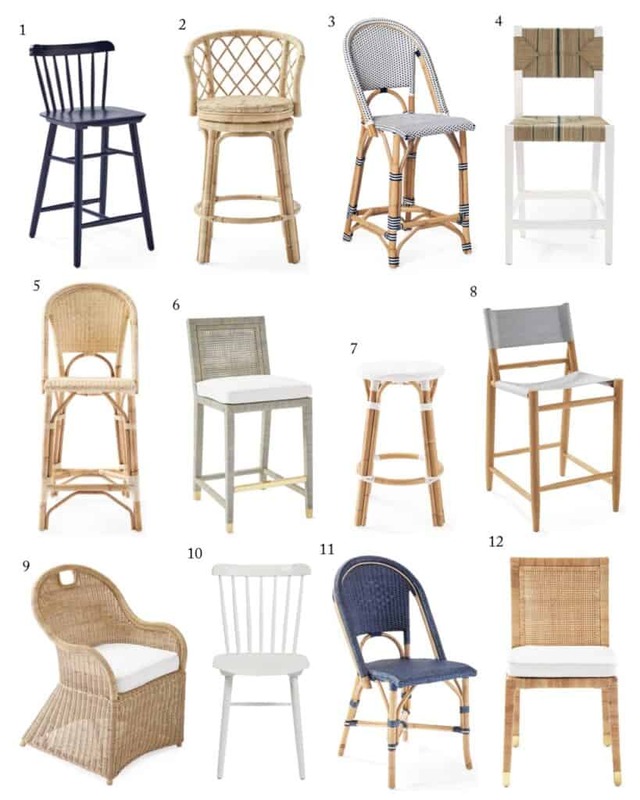 I have a full list of my coastal decorating favorites below with direct links to the products. This is not sponsored in any way, but should you make a purchase I would receive a small commission. If you’ve ever considered purchasing from Serena & Lily, this would be a great time to do that. They don’t have sales like this very often on the entire stock. I just might have added a couple of things to my cart as I continue to update my home! I will be in the Bay area next week and plan on visiting the outlet in Berkeley, so I hope to post on my Instagram feed when there. Just an absolutely beautiful home! 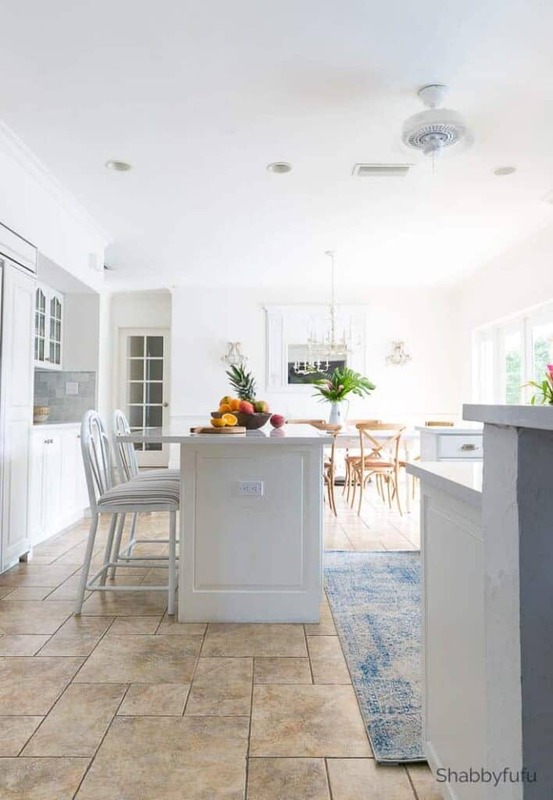 It’s a tricky thing to have so much white (which I LOVE) but sometimes homes can start to look like sterile hospital wards. You have mastered the art of adding accent colors, giving the white it’s chance to showcase your color choices rather than washing them out. Beautiful,beautiful home!